Today, I didn’t complete an event. For the first time ever, I halted at X and did not gallop through the finish flags. Today, I did not even step onto the cross country course. Of all the things that can go wrong during an event, none of them happened. We did not make an unplanned exit from the dressage ring or become the victims of an untimely dismount in stadium. No outside factor or spite of the eventing gods forced us to end on a letter and not a number. Instead, I made the decision myself. Today, I did something I have never done before. Today, I scratched. I knew this day would eventually come. Every time I fill out my entry one of my goals is to end on a number and not a letter. Up until today I have always been able to check that box and feel accomplished knowing I had achieved that goal. Yet, I knew one day I wouldn’t, it was just a matter of time. And I always wondered how I would feel when that day came. Much to my surprise, I did not feel any of those things. Packing up the trailer, loading my horse and heading home early, sitting in the cool, air conditioned cab of the truck, I felt better. I felt better because I knew today was not our day and I chose to act in my horse’s best interest. A fussy dressage test turned into an argumentative stadium warm up that was completely uncharacteristic for my horse. And while we addressed the issues and solved the argument for a pleasant, rideable stadium round, I knew Java’s heart was not in it. Could I have forced the matter, sticking hard and fast to my main goal of ending on a number and not a letter? Sure. And would we have done it? Most likely. But would I have felt accomplished? Would I have felt good? No. 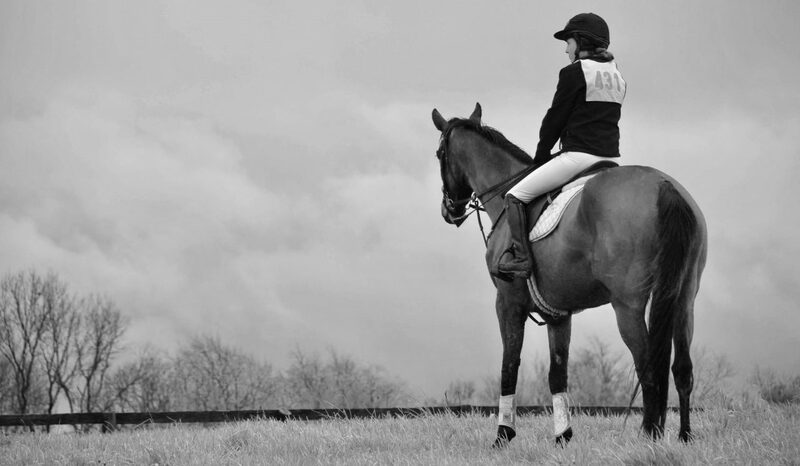 Because the goals we set for ourselves as riders mean nothing if the horse is not on board. Regardless of the triumphs won, the boxes checked, the feats accomplished – we walk away having achieved nothing if not acting in the best interest of our horse. Only when our goals align with those of our horse can we truly realize success. Today, the goals I had set for myself did not align with Java’s needs. We did not accomplish the things I had originally set out to do, we drove away with a long list of boxes left unchecked. But still I left with a contentment and optimism that only conquering your goals can provide. Because I didn’t actually fail to achieve my goals, my goals just changed. They went from self-serving goals intended to make me feel accomplished, to selfless goals intended to make my horse feel comfortable and confident. Today, I didn’t finish an event. But ending on a letter and not a number was the biggest success in my relationship with my horse. Glad you made the right decision for you and your horse. There will always be other events and ruining the “game” of eventing for your horse definitely wouldn’t serve you well in the future. ❤ that is what being a true horseman is all about. Putting the horse first.